As the clock ticks closer to 2019, it might be a good time to spotlight a few men on the scene who are role models in the Asian American community because of the work they do. 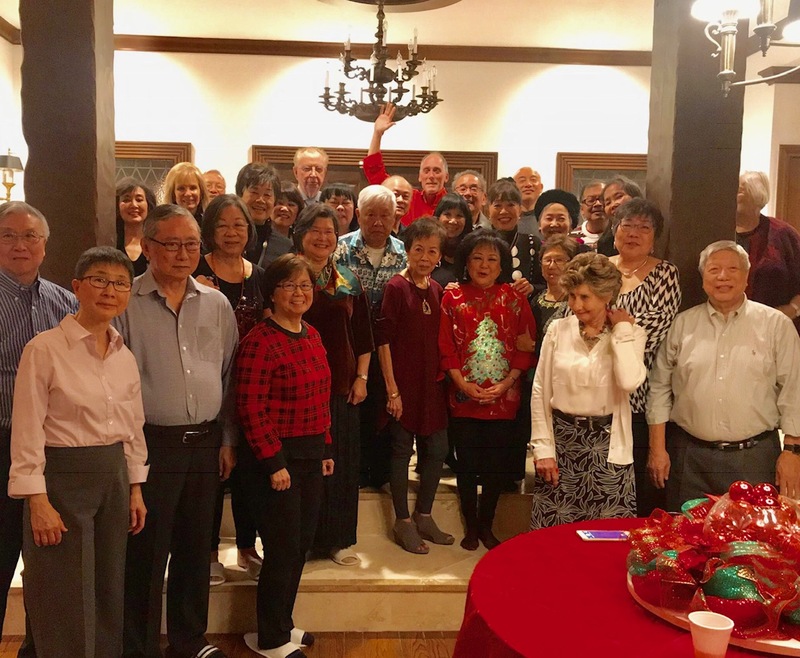 So often we overlook the people who make things happen, and those in our community who, through their work, bring honors and recognition to our once much overlooked and mistreated Asian community. William shows his invention of the 3-chip camera used in surgeries to help doctors explore during surgery of body. William Chang came from Singapore to pursue a college education at Oregon State University. He had already served military time in his own country as required by male citizens and had made a name for himself when at 14, he was the grand winner of the Singapore’s “Most Ingenious Creation of Technology” award for his invention of an automatic flushing system. Always a tinkerer from an early age, he loved to take apart things just to see how and why they ticked. This curiosity led him to open his own Chang’s Electric Repair Service at the age of 16, and in his later career as an engineer in the US. In the 1980s, he worked as a Design Engineer and was responsible for designing medical video cameras. He invented the first solid-state camera using the Metal-Oxide Semiconductor pick-up device in 1982. 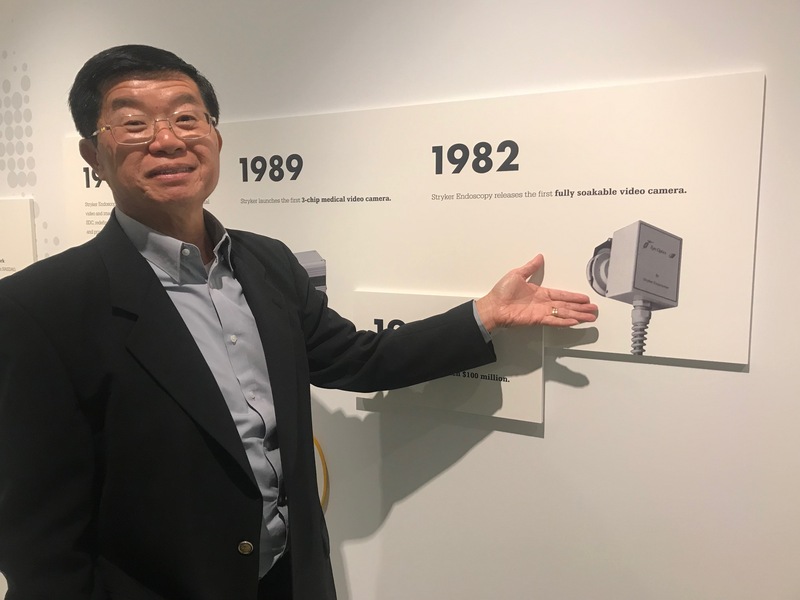 His crowning achievement he is most proud of is his invention of the first 3-Chip CCD medical camera which led to the development of the next generation of Stryker Corporation’s 3-chip CCD cameras and the 888 Medical Video Camera, released in 1999. It is currently the best selling 3-CCD camera in the world where surgeons use it to inspect inner body parts with minimal incision invasion. Thanks to Chang’s initial invention, minimal invasive surgery is now being used universally due to these endoscopic cameras. 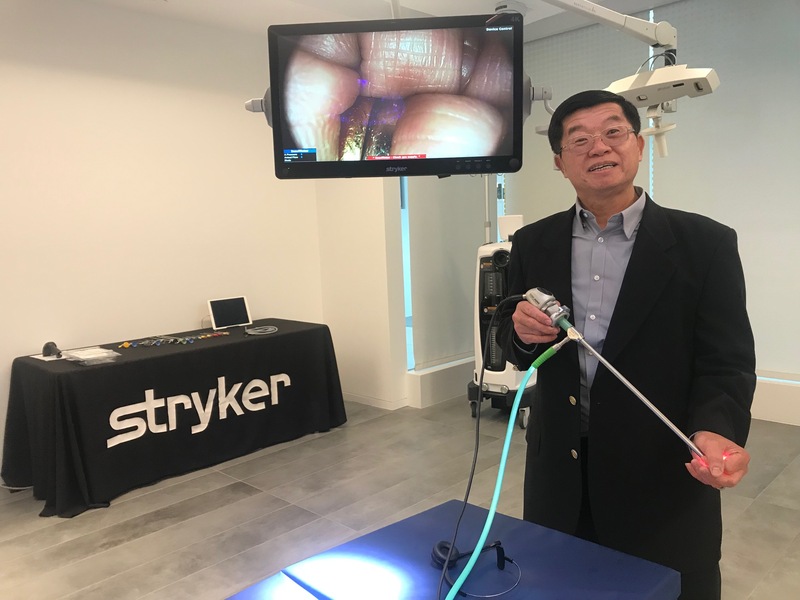 Well deserved, the Pioneer in Endoscopy Award was given to William Chang by the Society of American Gastrointestinal Endoscopic Surgeons in 2001, and this year of 2018, he has just gained entrance into the Stryker Hall of Fame a Research and Development Fellow. Congratulations, William. Rick Quan has been a well-recognized figure on television reporting on the sports scene for local stations for the past two decades. Affable and efficient, he was one of the few Chinese American newsmen to have a regular position at the table on news stations. When that career came to a close, Rick moved on to become more active in the Asian American community. Entering the documentary movie industry, he used his past on-screen experience and became interested in spotlighting Asians. His first movie was called “Dancing Through Life: The Dorothy Toy Story” which chronicled the life of noted dancer Dorothy Toy Fong. Dorothy and partner Paul Wing broke Hollywood barriers to dance on stage all over the world and in movies in the 1930s-1940s. Quan gathered long-unseen footage and has shared this story of discrimination and hardship for Asians to join the entertainment business. His second film, “Race: The Al Young Story” is about the first Chinese American world champion drag racer and shows, in my eyes, that Chinese men entered many career choices other than the standard doctor, lawyer, and engineer professions. In his hometown of Houston, Texas last month Rick’s work received the Best Documentary Award at the US-China International Film Festival for ‘The Dorothy Toy Story: Dancing Through Life”. 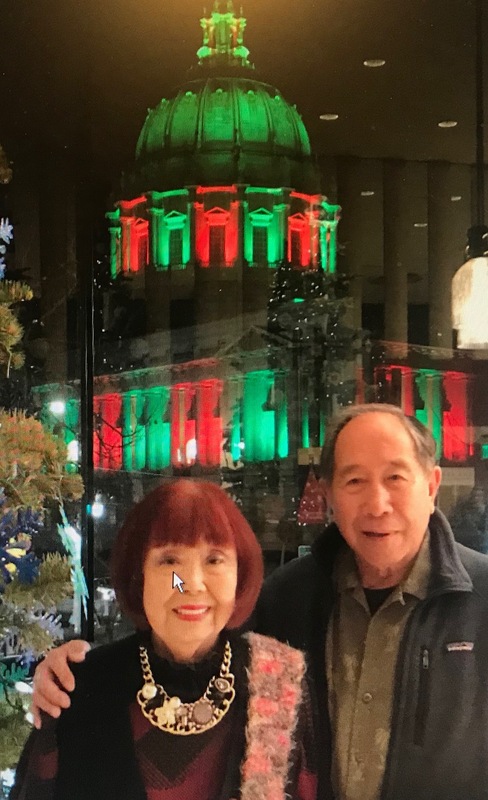 Rick is now working on the life story of former San Francisco Mayor Ed Lee, which has promised to bring much local support to highlight the life of a leader who broke many barriers to become the first Chinese American to lead as Mayor of a major city in the United States. 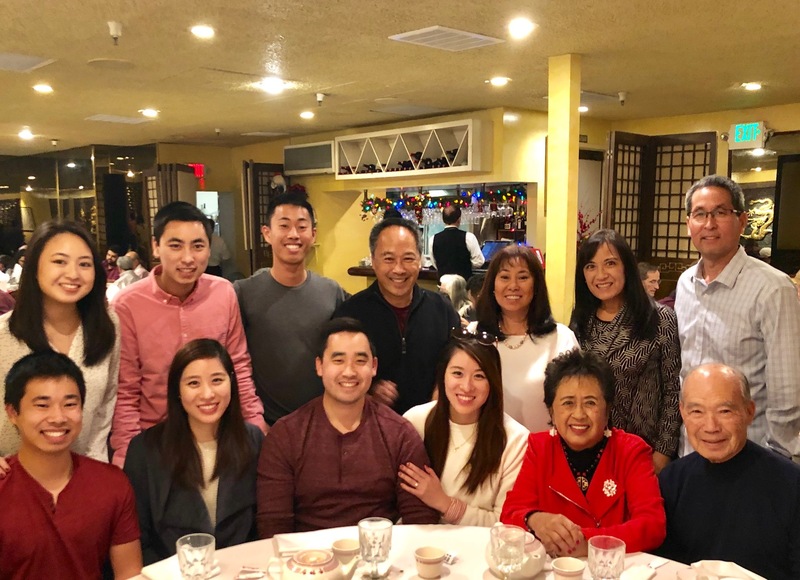 I congratulate Rick on moving into a career of bringing long-deserved attention to some of our Chinese American leaders, who are unsung heroes in many eyes. Here’s to more documentaries on long unrecognized personalities in our community, Rick. In your future. Albert Wang immigrated from Taiwan as a young man to California, early learning the American way of life, he recalls. After matriculating at UC Berkeley, he went to UC Medical School in San Diego and completed a residency at UC Irvine to achieve of his dream of being a doctor. 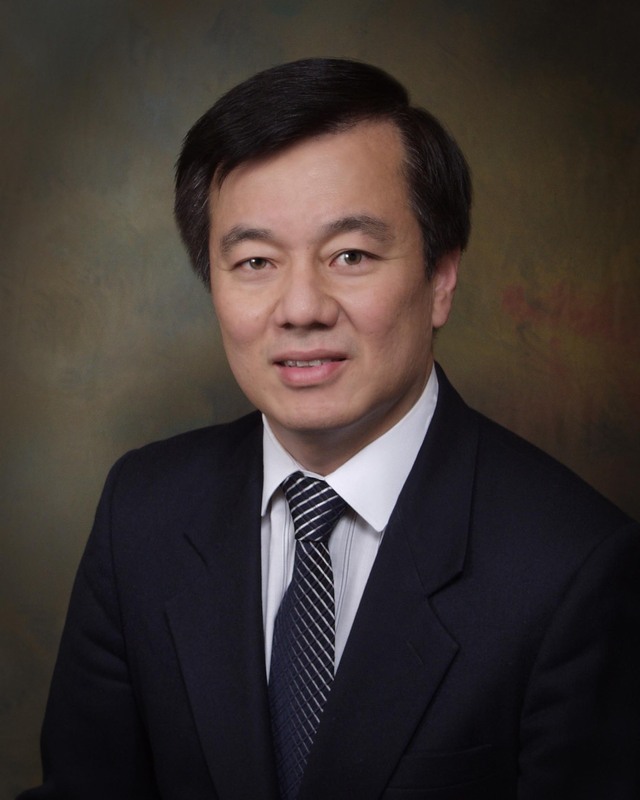 At Palo Alto Medical Clinic, he is now the Chair of the Board of Directors for this 1600 doctor multi-specialty group where he enjoys working on strategy and focus of the doctors in addition to a very busy medical practice. His life made a turn-around, however, when he and wife Anna welcomed a firstborn son, Lawrence, who early on was diagnosed with autism. As he recalls, very little was known about this disease at that time, and of course, we were devastated. Luckily, a social worker introduced them to other families with autistic children, and from those associations, the Wangs decided to help others impacted like themselves with this malady. 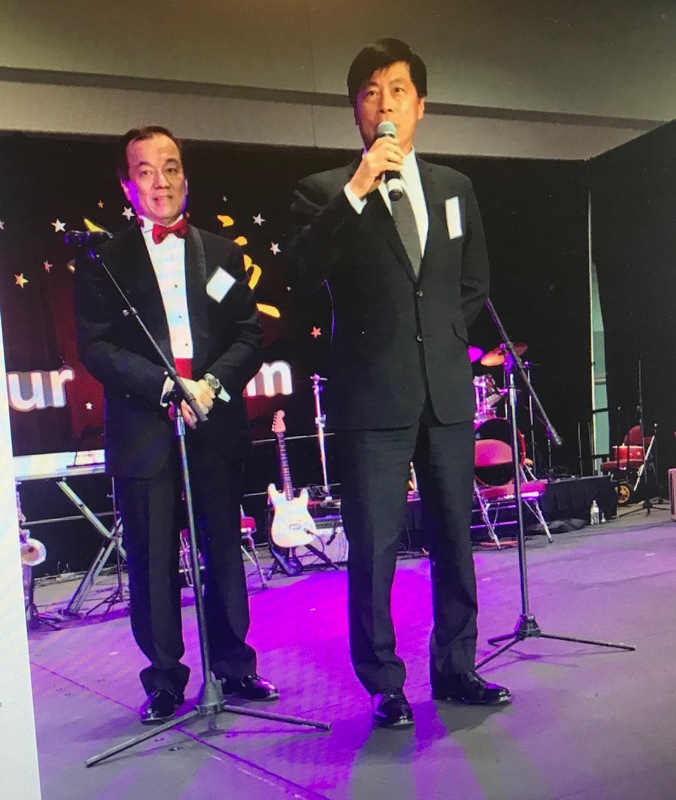 Dr. Albert Wang, left, with Taiwan Consul General at recent fundraising gala dinner. Because of Albert, with wife Anna’s determination to help other families with an autistic member, over 1000 families are served every year since FCSN began 20 years ago. I am sure Wang’s legacy will always be remembered by the many children and caregiving families who have been helped by their vision and spirit. As for their son, Lawrence, he performs in a band organized by the club and is employed by many companies in the area. Buck Gee always wanted to know more about his own family roots, but while he was busy in the high tech world, he found little time to pursue this interest. As he self admits, it wasn’t until after retirement did he have a chance to delve into his Chinese roots then. 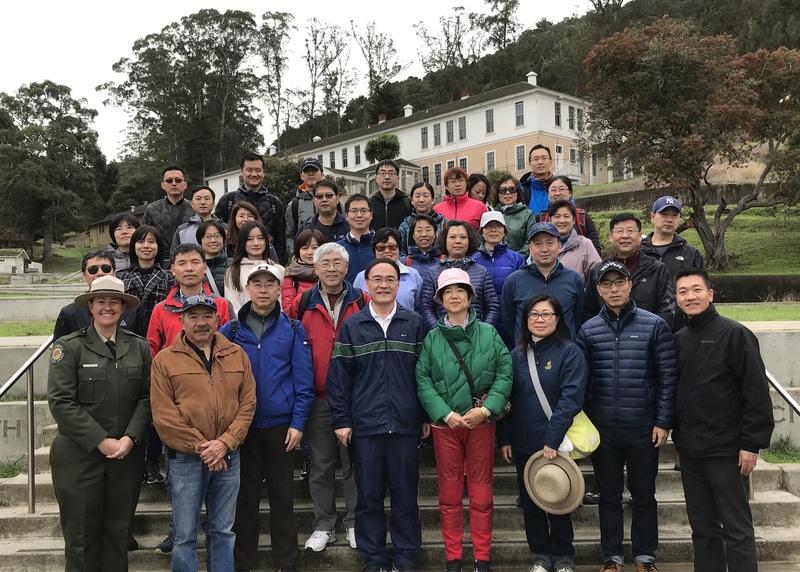 When he became involved with the Angel Island Immigration Station Foundation, he couldn’t be happier and the organization can’t be more grateful. Since taking over as Chairman of the AAISF Board, he has helped the organization gain more public visibility, open and maintain an office with Executive Directors, and helped along with the Board begin plans on the restoration of the historic hospital that used to serve the detained patients, and work on a project that gives schools subsidies to bring classes to the Island Immigration Station on a field trip. He has helped co-chair the club’s annual fundraiser, and in general, been our office advisor to see that all business can be examined through his eyes to keep this worthy non-profit moving forward. The group’s next fundraising dinner is April 11, 2019, which Buck Gee will, of course, be a major force, and leading sponsor as usual. 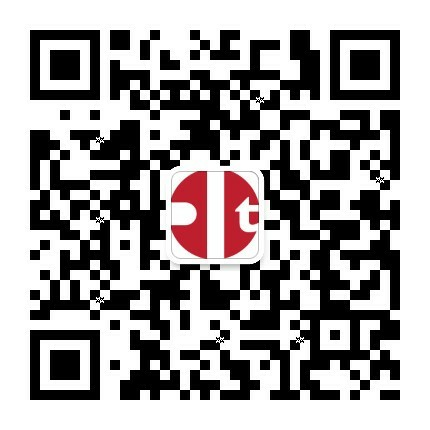 If you ever want to visit Angel Island, look up the website and I am sure Buck Gee would be a wonderful source of information to lead you to where he has led others during his past years a Chairman of the Board. Recently he and fellow Board members Darlene Chiu and Paul Chin took San Francisco’s Chinese Consul General Wang Donghua, his wife and consulate staff to the Island for a tour of the immigration station to see the barracks where newly arriving Chinese from 1910-1940 were detained during the Chinese Exclusion Act. Together they read the poems of hope, anger and despair etched on the walls by the Chinese immigrants during their months of confinement. Good Work, Buck! There is no happier time to listen to the San Francisco Symphony at beautiful Louise Davies Concert Hall than holiday time for they have a full schedule of holiday programs for all ages to enjoy. The Ralph Gins enjoyed seeing the movie Home Alone to the accompaniment of the orchestra and a choral group. Ralph Gins and Calvin Wongs enjoy Home Alone concert with SFS. 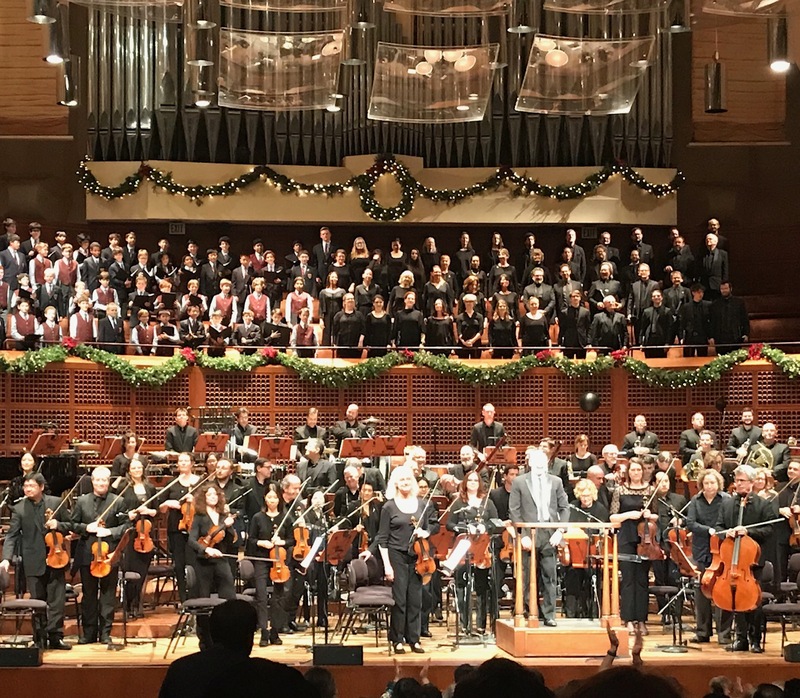 The Wilson Fongs sang along with the sold-out capacity audience, the San Francisco Symphony Chorus and SF Girls Chorus at the Twas the Night concert led by very energetic and charismatic Conductor Ragnar Bohlin. The Howard Lums joined their concert audience listening to Handel’s Messiah. 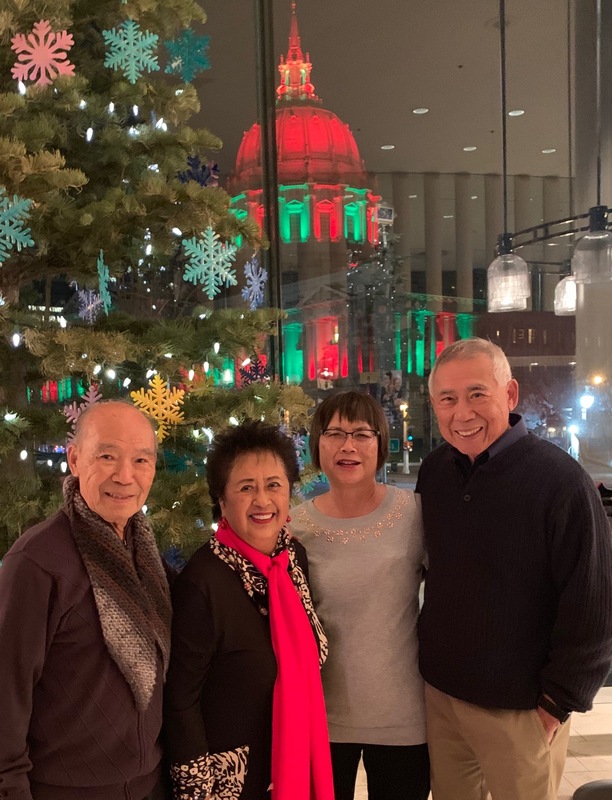 The tree-lined lobby was a festive scene made even more spectacular with the San Francisco City Hall decked out in green and red lighting in the background. 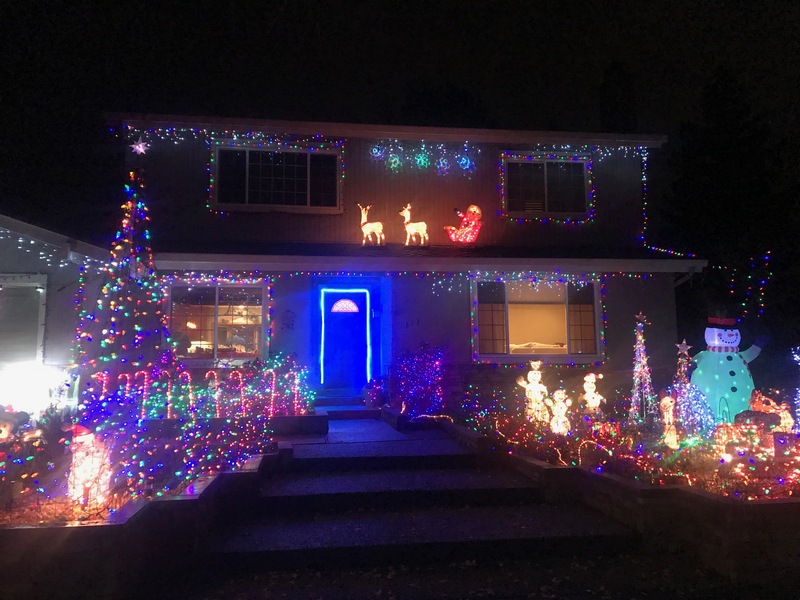 When Tandy Beal’s production of JOY came to San Jose, it brought even more holiday fever to the area. The show was a variety of aerial artists, jugglers, dancers, and comedians to keep the scene jolly with merriment throughout. All ages could be seen laughing with the antics of the clowns. 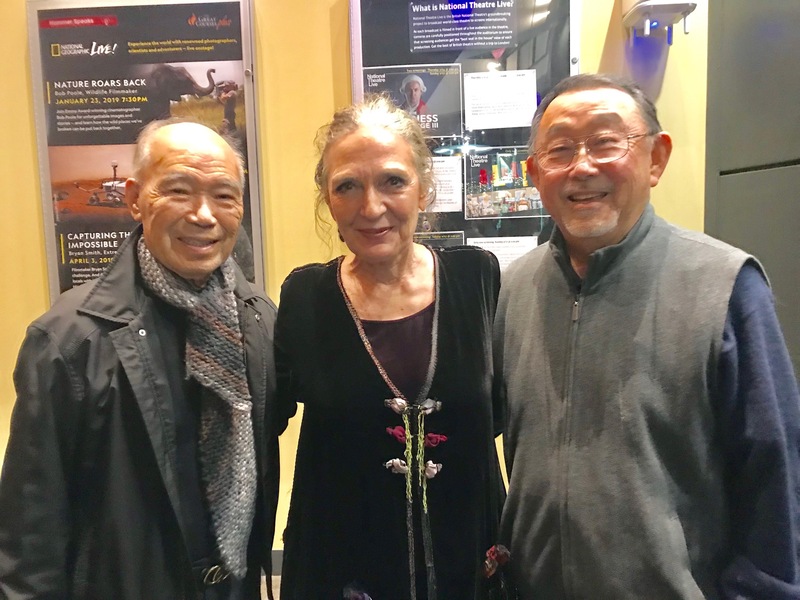 Visitors from North Carolina Alsona Wong with son Dr. Rodney Wong were seen enjoying the show at the Hammer Theatre in downtown San Jose along with Jim and Carole Yamaguchi. Extra fun was meeting the performers and Tandy following the show along with the other happy welcoming performers. JOY clown comes out to welcome Alsona Wong from North Carolina. A variety show such as this would be enjoyable without the holiday theme, so if you’re interested in bringing a wonderful evening of circus talents to your next function, look up Tandy Beal, producer. 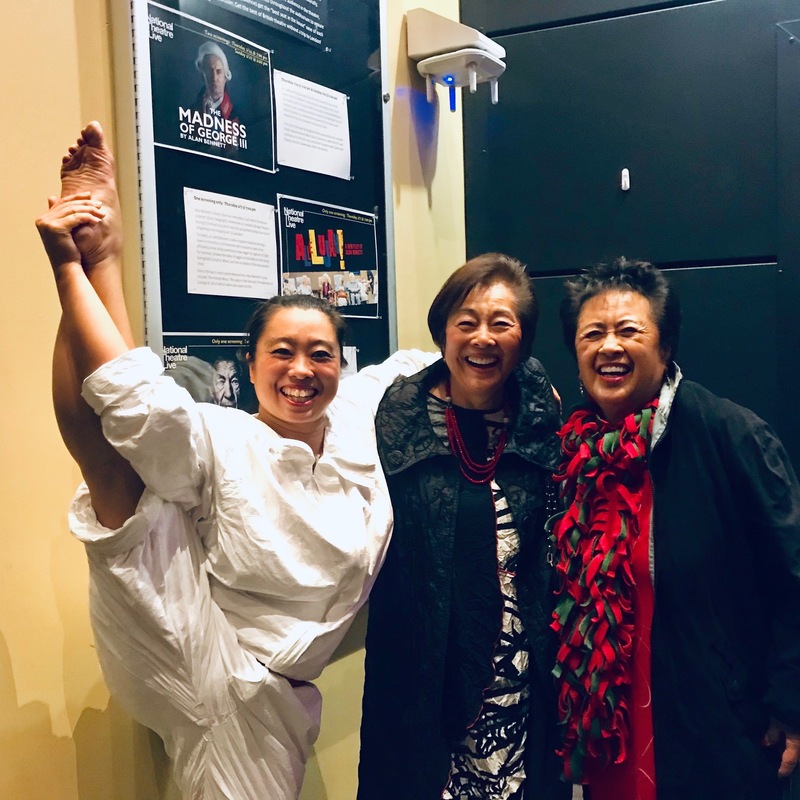 JOY performer poses for Carole Yamaguchi and Gerrye Wong following the performance. 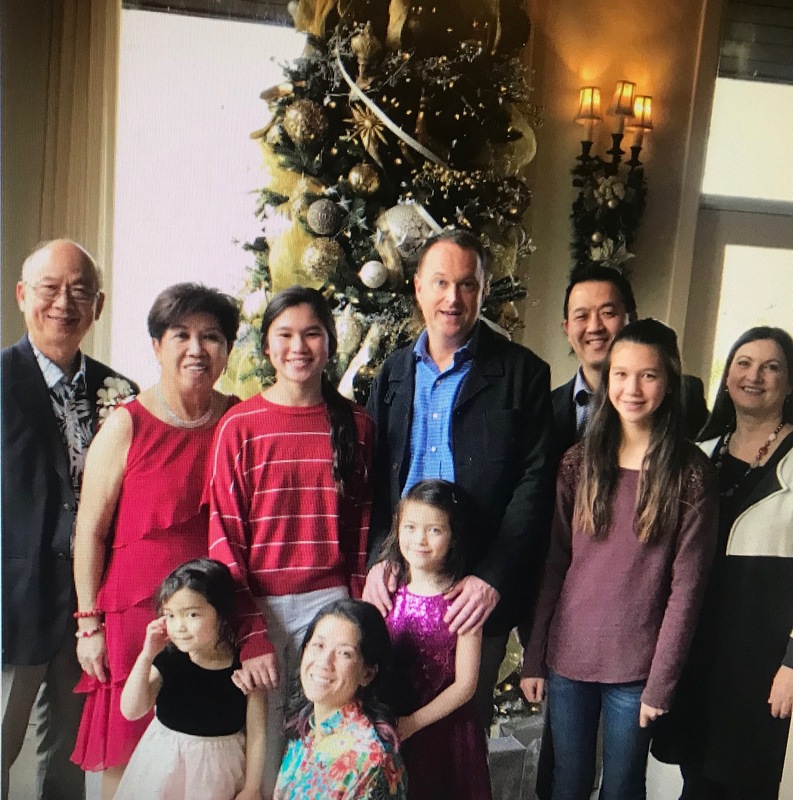 Fiftieth Anniversaries are always momentous occasions and the children of Aaron and Maelene Wong did it up proud for their parents at the Castlewood Country Club in Pleasanton. 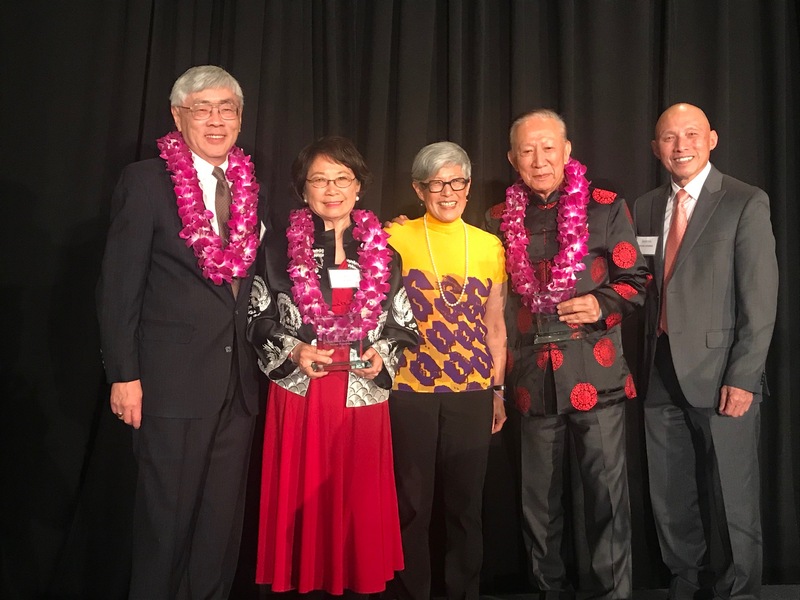 Over 100 family and friends heralded the occasion with sister Lorene Quan and Leary Wong doing the honors roasting the couple, and son Geoff Wong made a very nice video for reminiscing of what the couple has done and visited during their 50 years together. 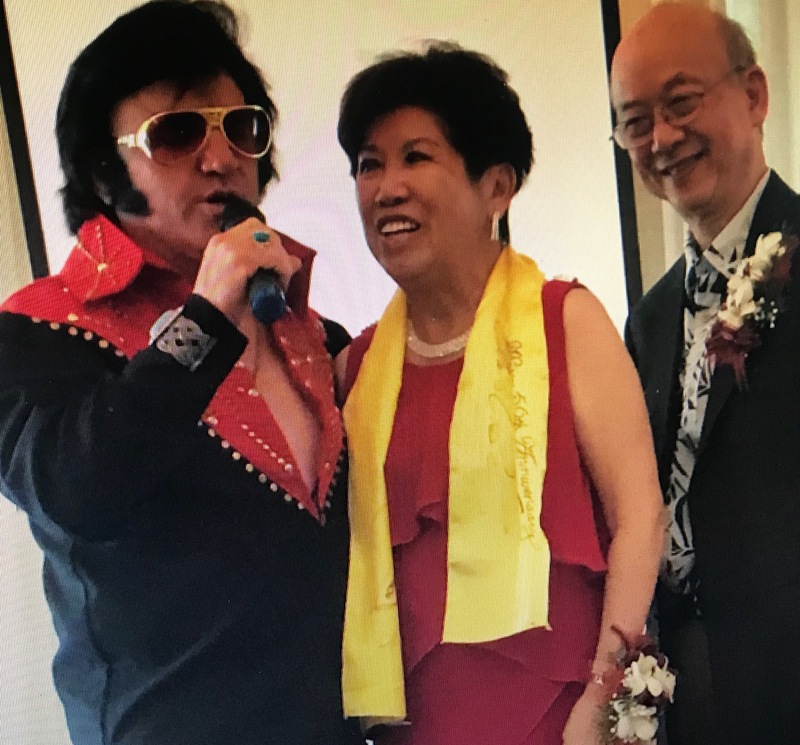 Elvis serenades Maelene and Aaron Wong on their 50th anniversary. I wrote and dedicated a song to the Wongs which was a great sing-along for the crowd of friends gathered together for the lunch occasion. A surprise visit from Elvis himself came to serenade Aaron and Maelene, and they danced while he sang Christmas and love songs dedicated to their happiness. To a rousing “All Shook Up” Rick Torres’ Elvis brought up on stage the 8 fun-loving ladies who had invited Elvis to come join the celebration. 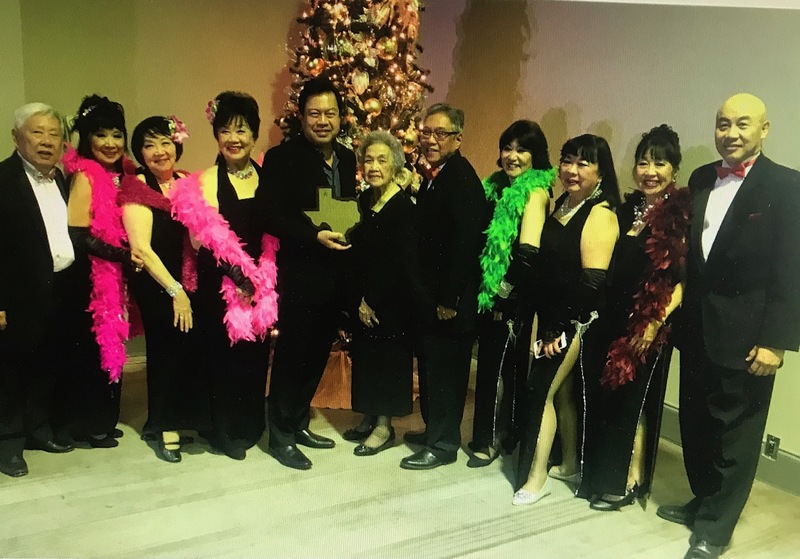 Dancing with him very enthusiastically were honoree Maelene, Carole Yamauchi, Julie and Fran Gin, Lorrie Wong, Pat Lum, Cindy Yichoy, Mary K Lim and myself. Aaron and Maelene Wong Family at 50th Anniversary party. 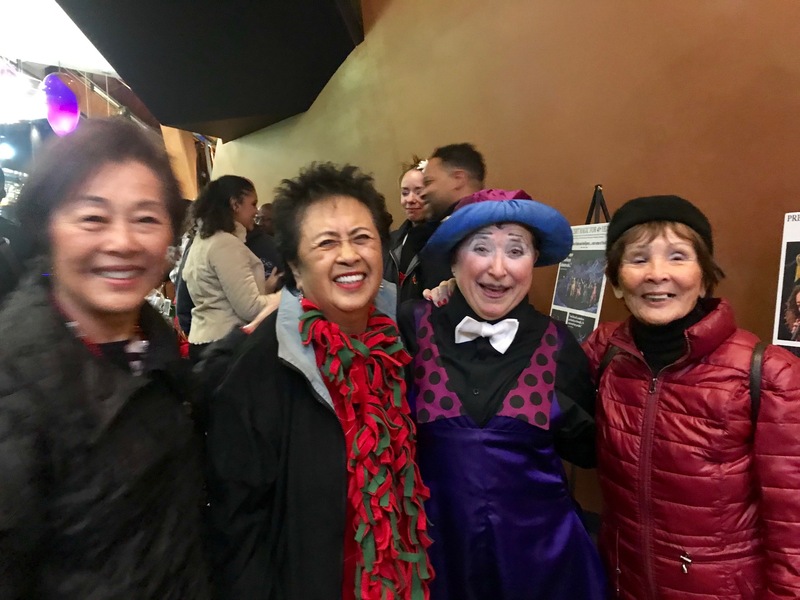 After Elvis even sang and took photos with Aaron’s mother, 100-year-old Mrs. Lucille Wong, and sister Cheryl. Happiness is always when kids and grandkids can join in the celebration and family photos were shot to commemorate this wonderful event. Although the Christmas holidays are over, I want to wish a very Merry holiday season to everyone. A Wong/Matsuura tradition is to gather together so wanted to sign off with a happy Christmas day photo of us with grandchildren Braden Wong and Melissa Matsuura and our feast of decorated Gingerbread men the whole family decorated to the limit of their imagination! 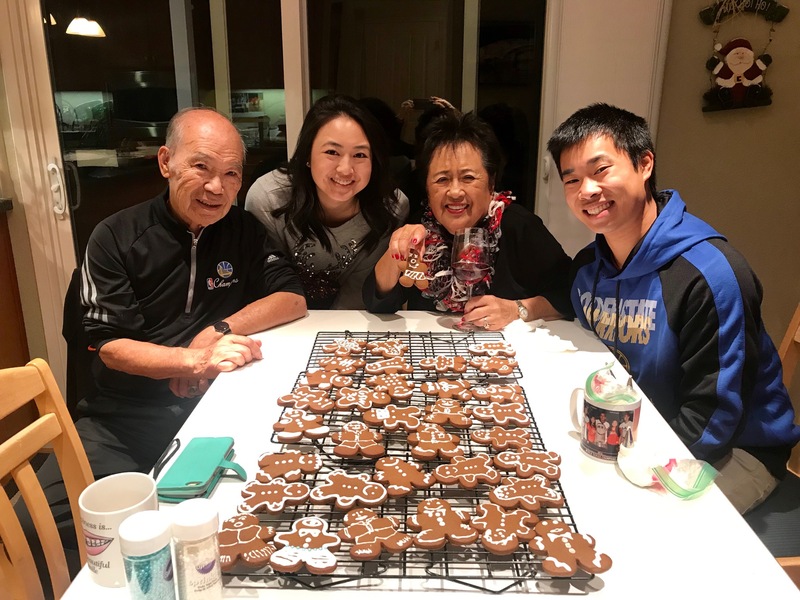 Melissa Matsuura and Braden Wong together with grandparents Calvin and Gerrye Wong decorate Gingerbread cookies. A late addition is the family gathering to celebrate the eldest grandson Justin’s engagement to Flora Huang. The couple met while students at Optometry School in Fullerton, CA and both settling into their careers in Southern California.Congratulations Justin and Flora. Happy Engagement Party for Justin Matsuura and Flora Huang, center, seated. Enjoy Family and friends, live a happy and healthy life, and here’s to more wonderful events to report on in 2019! HAPPY NEW YEAR!! CONGRATS 2 ALL ‘THE MEN!’ YAY–GOOD 2 HEAR ‘ASIAN MEN R UP THERE W/THE ‘WOMEN! 🙂 🙂 –ESPECIALLY ‘RICK QUAN’ WHOM I KIND OF MET WHILE IN LINE @ THE WATER FOUNTAIN. HIS SMILE ENGAGING. FRIENDLY. JUST LIKE HIS APPEARANCE WHEN HE WAS A SPORTS ANNOUNCER. SINCERELY—- NONA MOCK WYMAN, OWNER OF ‘MING QUONG’ IN WALNUT CREEK, CA. WE’VE BEEN HERE 50 YEARS!